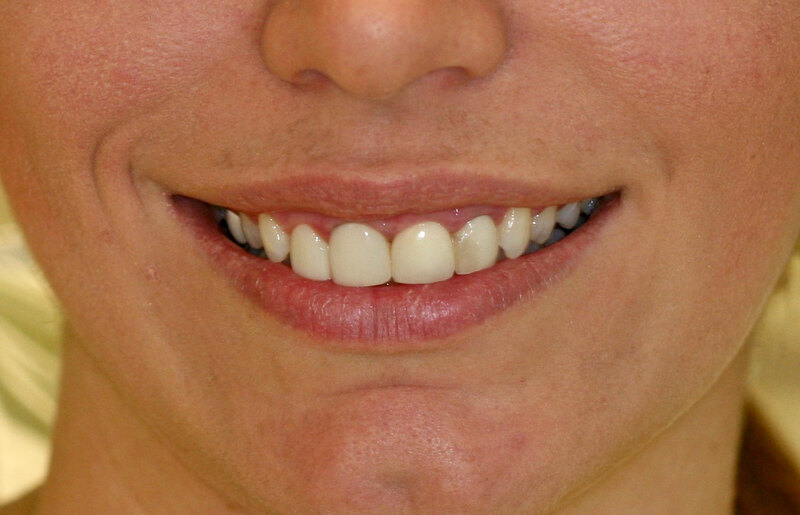 This patient came to Gables Perfect Smile looking to replace her two front teeth crowns which she didn’t like. 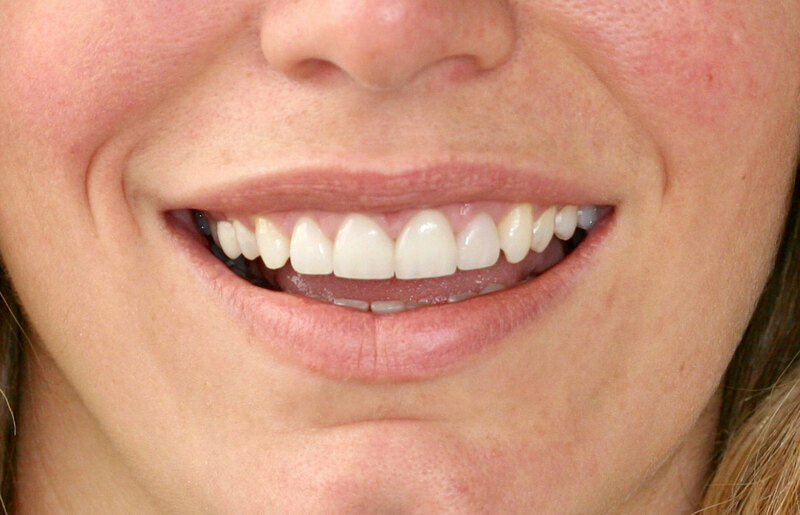 Her gums were swollen due to an incorrect fitting of the crown margins. Also one of the laterals had a dark stain which made her hide her smile. After removing the old restorations we did a gingival recontouring using our Waterlase technology and then proceeded to fabricate four matching esthetic crowns along with a zoom whitening to enhance her smile. Now she can show a natural and healthy smile with confidence.